Wilson Jones® 812 Telephone Address Book, Round Ring, 1", 1600 Entries, Black - 80 Sheet(s) - Ring Binder - Letter - 8.50" x 5.50" Sheet Size - Green Sheet(s) - Black Cover - Vinyl - 1 Each Telephone address book includes A-Z index leatherette tabs with gold foil print to provide professional looking organization of your contacts. 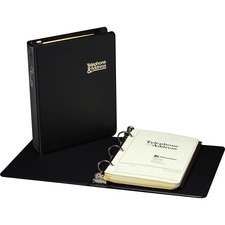 1" binder includes 80 sheets for up to 1,600 names, addresses and phone numbers. Round rings secure pages. 8 1/2" x 5 1/2" sheet size, black. 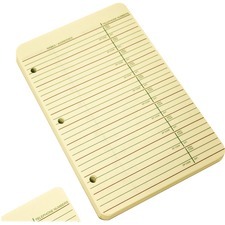 Refill pages are designed for use in Wilson Jones Loose-Leaf Telephone/Address Books. Soft green bond paper reduces glare. Each loose-leaf telephone/address page offers space for 20 entries. Telephone/address book offers room for more than 100 entries for names, addresses and telephone numbers. Compact design is the perfect size to carry in bags, purses and briefcases. 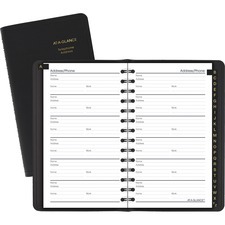 Each page includes ruled entries with prompts for names, address and phone and two extra lines so you have enough space to complete each record. The bookbound reference tool also has a sturdy, textured cover to protect your important information inside. 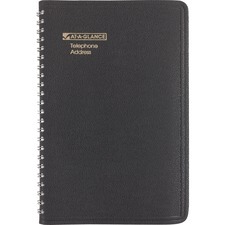 Deluxe telephone/address book offers a zip closure so loose papers won't fall out. The compact size is small enough to fit in a purse. Wirebound book features 12 tabbed A-Z telephone address pages and in total can hold 288 contacts. Extra pages include a time zone map and favorite websites tabs. 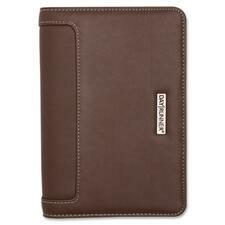 Cover is made of simulated leather. Telephone/address book keeps all of your important addresses and phone numbers in one convenient location. 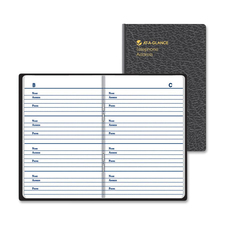 Design features a flexible simulated-leather cover, wire binding and A-Z tab indexing with single-letter tabs. Each page has space for name, address and phone numbers. Telephone/address book has room for 900 entries. Nonrefillable.